In yesterday's post, I talked about what you should look for in your running shoes. It is important to also remember that while each brand will have a shoe that fits each respective foot type (pronate, nuetral, supinate), they are not all created equal, and each has its on specialty. There are many more brands than the ones I will discuss below, but these are the ones you will most likely see in specialty running stores. Nike is know for stability shoes. The shoes have air pockets in the soles, as well as denser material for support. Nike is also a slightly more narrow shoe, and ideal for runners with narrow feet that still want a snug fit. 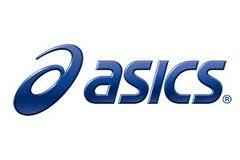 The cushioning technology used by asics consists of gel substance, similar to the one that the shoes Dr. Sholles uses. They also have the smoothest insole, but as the wear you will need to replace them. The insole is the softest you will feel when you first slip on a shoe. 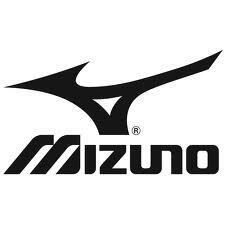 Mizuno also focuses on stability shoes and uses wave plate technology that takes advantage of the flexibility of the material to absorb shock. Brooks specializes in cushioning with a plastic pocket of liquid material, which they claim to be virtually indestructible. 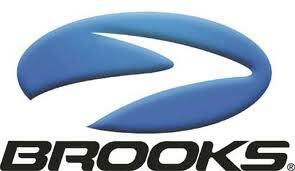 Brooks also user rubber material similar to the rubber used in tires, which many argue make the shoes more durable. The Saucony approach to cushioning is a grid patented technology made of a woven wire looking type of plastic. These pieces of plastic are like springs with buffers working together giving you a soft run. 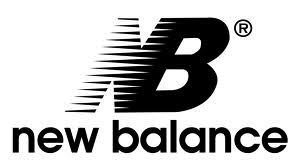 Known primarily for their wide variety of sizes and widths, New Balance tends to be a favorite for individuals with a wider foot. It is important to remember what works for some people, won't work for others. I have had fellow teammates, friends, and family members all swear by different brands. I swear by Nike, and lucky for me, they sponsored my college team so I didn't have to give them up. I have a neutral-to-high arch so I need cushioned shoes with little to no stability (too much stability and it makes me run on the outside of my foot). For the past few years I have run in the Nike Zoom Elite. 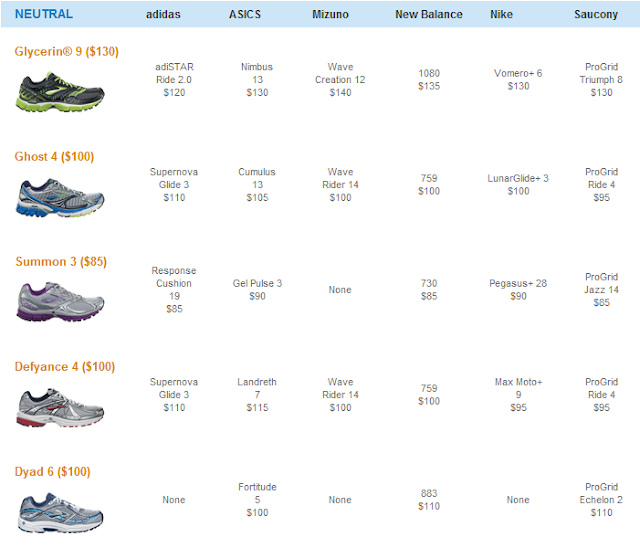 However, while working at Marathon Sports in high school, I was able to try out samples of other brands. Mizuno and Saucony felt pretty similar to each others, and I wasn't really in love with either. Asics were definitely the most comfortable (it feels like your walking on pillows) but I felt their toe box was a little too wide for me and my foot would move around too much. I have pretty narrow feet, and Nike provides a more snug fit. 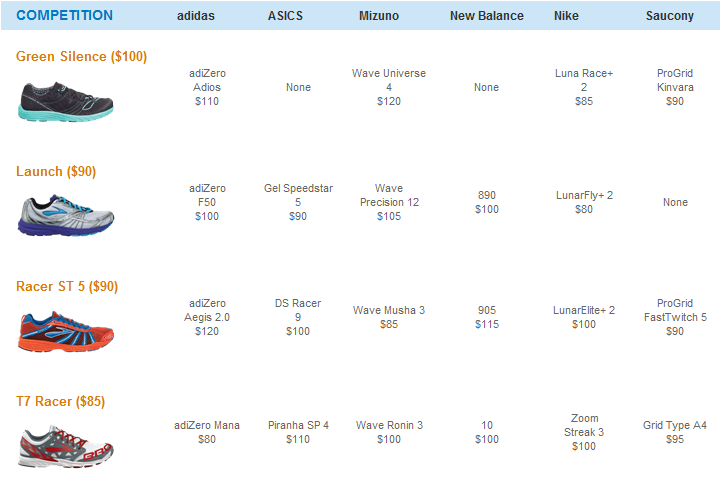 Brooks provides this helpful breakdown of approximately what each brand has available for each foot type. 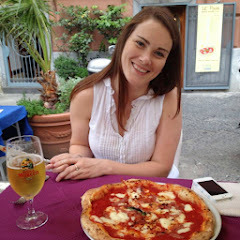 Note, newer versions are probably available. I hope this helps! As always, email me with questions. I am off to Chapel Hill for the long weekend, and wish you all a safe and happy weekend as well!